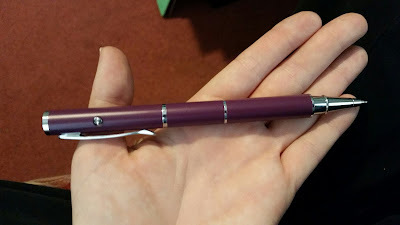 I am so in love with pens to say the least so when I was able to review the Kyasi Stylus Pen/Laser the pen part I love a lot because I love pen's in general it writes really smooth I have used the laser part of it and the stylus but not as much as I used the pen. If your looking for a great all in one pen, stylus, and laser make sure to check them out!! The PERFECT gift idea for Dads or Grads! Check out this amazing three in one gadget that is a great item for everyday use, but is also a wonderful gift idea. This upscale device built from 100% brass is really 3 devices in one. It's a superb writing instrument perfectly balanced to feel sturdy in your hands without being too heavy. It is an amazingly powerful laser pointer that is highly visible even in a well lit room. And it's range is amazing. The visibility is really exceptional. 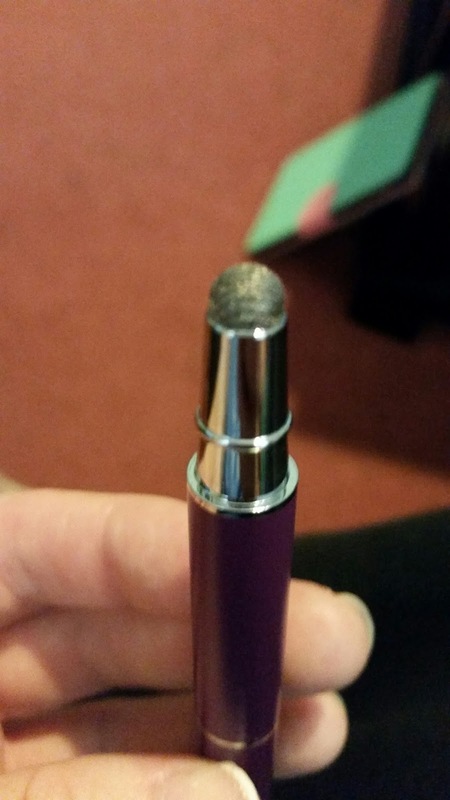 The features just keep on coming because it is has a incredibly high quality microfiber mesh tipped stylus which will work on any capacitive touch screen. 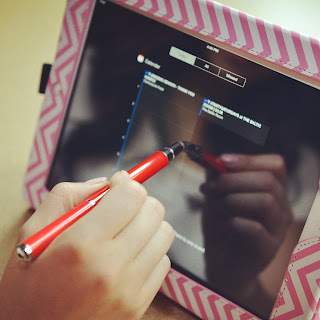 This means all Apple devices, Samsung devices, Kindles, Microsoft tablets and nearly all smart phones in the world today can easily be controlled by this cool stylus. Best of all everything you need to get started is right in the box which includes the batteries. This is the ultimate for gift giving. It's perfect for the boss, a teacher or the hard to buy for person because everyone uses a pen, the laser is fun for teasing kittens and the stylus is extra cool too. Would you like to win one of your own??? Enter the Widget Below!!!! I actually would like to use it for my phone. Just got a new one, and for some reason cannot get the touch portion right. This is really a convenient pen. I think I would use this mostly for the stylus part. No matter what you are doing the Kyasi Stylus/Pen/Laser would make everything you are doing easier. The Stylus/Pen/Laser would enable you to go from any of your devices to easily writing something down and then back to your device. When you would like to direct attention to something specific on a presentation the laser would be great because you could just point at a specific place that you would like to call attention to. 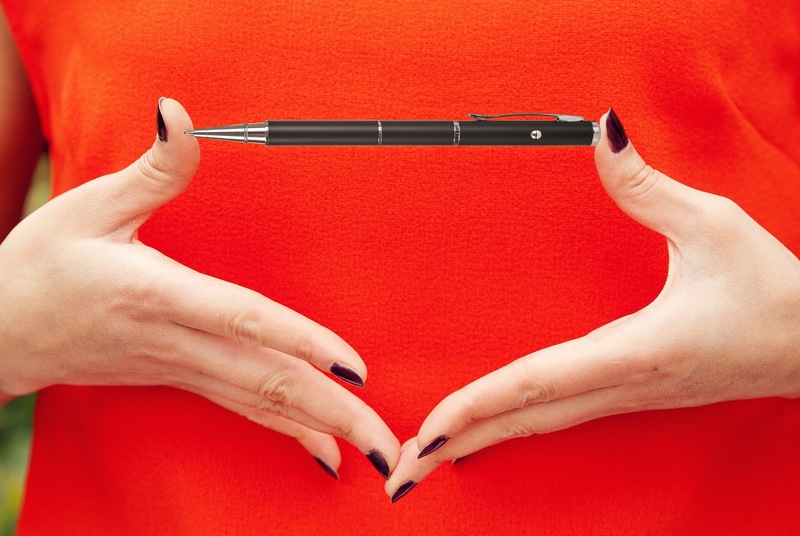 I know that I always need a pen and I always need a Stylus. No more looking for one or the other. I would use the stylus of the Kyasi Stylus/Pen/Laser the most. I have a smartphone, kindle and a tablet. Using a Stylus on these devices really makes the device much easier to use. I would use the Kyasi stylus for my kindle and smartphone.